The State Statistics Service reported on a higher inflation rate in 2017, the hryvnia continued its descending path, while the cost of gasoline and diesel fuel jumped against the background of rising global oil prices, and the government at its first meeting this year announced an increase in teachers' salaries - these are the main economic news of the year’s second week. This week was predictably more interesting than the first one this year. Some economic news pieces were pleasing to Ukrainians’ ears, tuning them to an optimistic mood, while others - pointed to the depth of unresolved issues and the need for a relevant state response. At the first meeting this pre-election year, the Cabinet of Ministers increased teachers’ monthly salaries by UAH 1,500 hryvnia, up to UAH 6,500-8,500. Promoting the move, Prime Minister Volodymyr Groysman recalled that this is the second wave of salary increase - in 2017 teachers' salaries were up 50%. Groysman also underlined another important priority in government work - expanding the scale of road construction. To achieve the strategic goal, the Cabinet approved the Concept of the State Program for Highway Development for 2018-2022, which provides for the allocation within the next five years of an unprecedented UAH 322 billion on repair and construction of Ukrainian roads. The funds will be used to allow road infrastructure to be brought to the European level. The government expects that the implementation of the package of measures will increase the volume of transportation, ensure the efficiency of transport services, and improve Ukraine’s investment prospects. Another important decision passed by the Cabinet this week was the approval of the Pension Fund’s budget for 2018. The fund has for many years seen a deficit as its revenue part has been equalized by state subsidies. This year will not be an exception - the amount of allocations from the state budget to finance pension programs is set at UAH 139.3 billion. With the help of these funds, it was possible to calculate the PF budget o with the revenues at UAH 353.6 billion and expenditures – at UAH 345.8 billion. Speaking about the economic prospects of 2018, the Prime Minister drew the attention of Cabinet officials and legislators to the fact that the success of economic policy will depend on the timeliness of making the necessary decisions. "We must do everything to ensure that 2018 is a success for Ukraine and Ukrainians. In fact, we managed in time to make decisions important for the country, including [passing] the country's budget, which is quite ambitious and determines the main directions of the state's development in 2018. I’d like to emphasize that we need to do everything quickly and efficiently," the prime minister said, urging all state bodies to clearly determine priorities and consistency of decisions this year, and then to use all tools available to change the situation for the better. One of the key tasks of the executive and legislative branches for 2018 will be to conduct transparent and competitive privatization of state assets. Groysman believes that the adoption as soon as possible of a relevant law on privatization will unfreeze the process. "Now we are ready for a new step - the adoption of the law on privatization. I think that we have worked well with the [parliamentary] committee, having reached a balanced solution. I very much hope that we will be able to make the necessary decisions within January, possibly next week," the prime minister said. The State Property Fund’s list of state assets put up for sale in 2018 includes, in particular, the long-suffering Odesa Portside Chemical Plant, the Sumykhimprom chemical company, the Centroenergo energy company, a number of regional energy companies, the Kherson and Mykolayiv TPPs, and Turboatom power engineering plant. Last week, the State Statistics Service reported that the inflation pace in 2017 accelerated to 13.7% from 12.4% a year earlier. 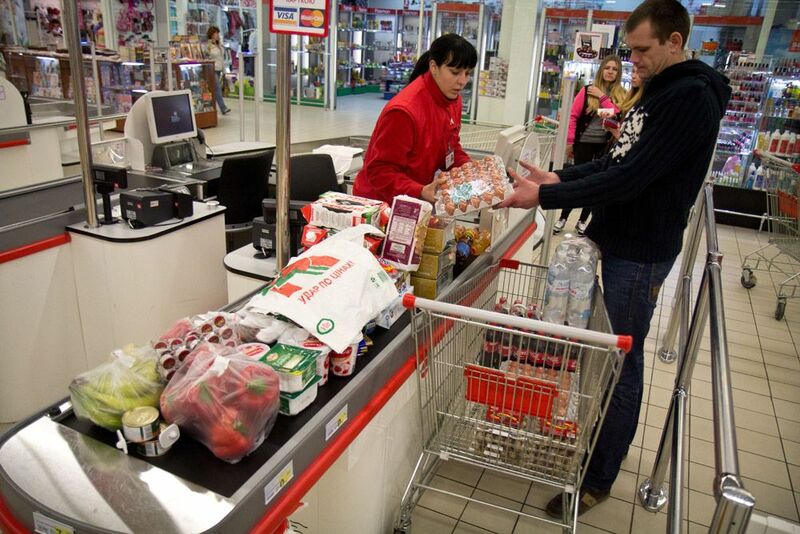 Over the year, prices increased most for house maintenance services, fruit and vegetables, meat and milk. The agency noted that it was only sugar that got a bit cheaper - by 7.4%. Unfortunately, in terms of inflation, Ukraine performed worst among all European states. There are many reasons for this chronic illness, in particular, the uneven spending of budgetary funds throughout the year. According to the State Treasury, in September, there was UAH 63 billion in the single treasury account, while at the beginning of 2018 the "state wallet" got thinner to a mere UAH 5 billion. It has already become a tradition that at the end of the year many budgetary institutions start to actively spend the resources allocated for them to make sure they utilize all funds before the next budget period. Bohdan Danylyshyn, head of the NBU Council, drew attention to the importance of more uniform calculations by state structures as an inflation factor. He believes that the increase by the NBU of its key rate as the regulator’s major tool will clearly not be enough to slow down inflation. In his opinion, to curb inflation, the coordination is required of the budgetary policy pursued by the Cabinet of Ministers and the Ministry of Finance, with the central bank’s policy. "The fact of significant budget expenditures in December, respectively, the transfer of the hryvnia from the treasury account in the National Bank to the monetary market, showed the need for tight tactical coordination of monetary and fiscal policy," Danylyshyn said. Obviously, the government understands the severity of the problem. PM Groysman during a visit to the Mariupol-based Azovstal on Friday spoke about the importance of ensuring price stability: "We need to ensure stabilization of prices in the country. We see that prices are rising, very significantly in some respects." He added that price stabilization, along with economic growth, will improve living standards of Ukrainian citizens. This week, the Ukrainian hryvnia continued its fall. 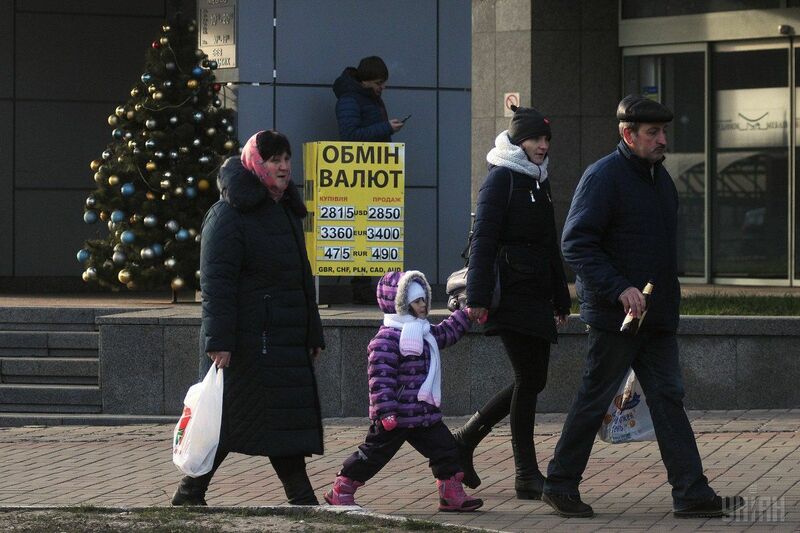 Between Jan 9 and Jan 12, the NBU lowered the official rate from UAH 28.20 to UAH 28.45 to the dollar. 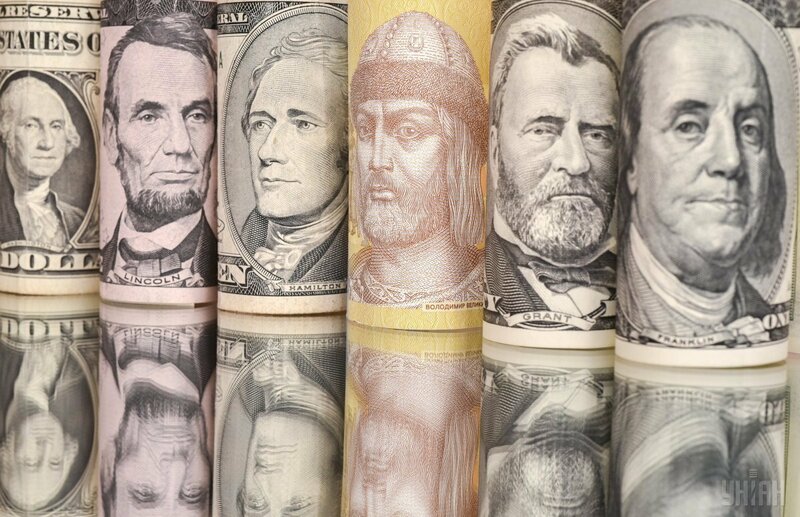 During the same period, the rate on the interbank foreign exchange market fell from UAH 28.1 to UAH 28.56 to the dollar. In Kyiv’s forex offices on Friday, the dollar rose to UAH 28.70 - UAH 28.75, whereas on January 11 it was possible to buy a dollar for UAH 28.65. The euro is already at UAH 34.25 – UAH 34.50. Commenting on another fever of the national currency, the National Bank said that there were no fundamental reasons for the hryvnia devaluation today, while the current volatility of the forex market is due to seasonal and psychological factors, and that during the year the hryvnia could strengthen. "The effect of temporary factors seen at the beginning of the year can be neutralized by a favorable impact of fundamental factors during the rest of the year; this includes prices on foreign markets for export-oriented products, as it was in 2017," Deputy Governor of the National Bank of Ukraine (NBU) Oleh Churii told UNIAN. The deputy NBU governor also recalled that after Ukraine introduced the floating forex rate of the hryvnia in 2015, there is certain seasonality in the forex market: for a third consecutive year, demand for foreign currency from importers that form stocks of goods for the new year grows during the first months of the year amid a decrease in farmers' earnings in foreign currency. Yuriy Hrynenko, Head of the Raiffeisen Bank Aval dealing operations department, believes that the decline in the rate was due to high VAT refunds in December, the purchase of foreign currency for dividend payments, and significant budget payments at the end of 2017. A negative factor is a pause in relations between Kyiv and the International Monetary Fund. "I think that this is not the end of the dollar growth," he said, adding that the hryvnia could reach UAH 28.5-28.7 to the dollar. According to Hrynenko, depreciation of the national currency may last until late January, after which the trend in the forex market is expected to reverse. The fall in the hryvnia rate also caused another trouble falling on Ukrainians’ shoulders - higher prices for motor fuel. Since August last year, the cost of fuel at gas stations has increased by UAH 4 hryvnia per liter. To date, A-92 brand petrol in some networks is already at over UAH 30 per liter, A-95 has reached UAH 31.95, A-95 Premium – over UAH 32, while diesel jumped up to UAH 28 – UAH 29. 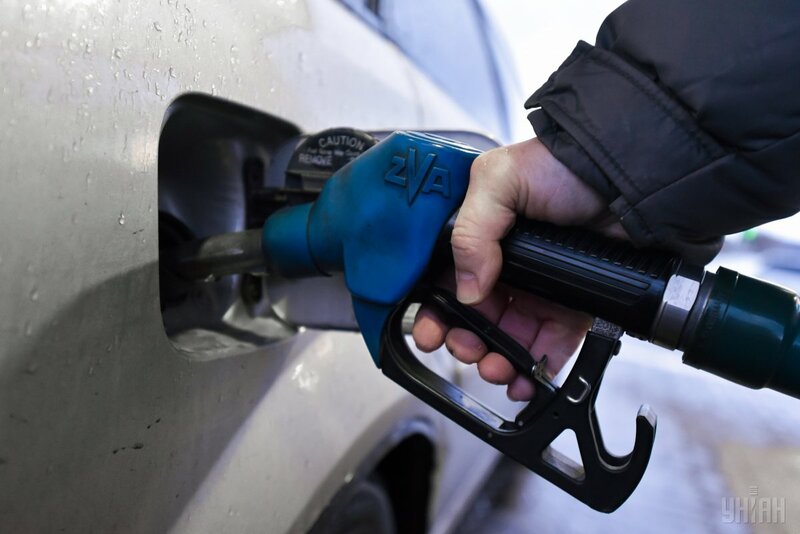 According to experts, the increase in motor fuel prices in Ukraine is caused not only by the depreciation of the hryvnia rate, but also by a factor that, to our great regret, does not depend on the Kyiv government. It’s the rising global prices of oil and petroleum products. From late June last year to January 12, 2018, Brent crude, on which the entire European market is oriented, has grown by more than 50% - to $69 per barrel. Ukraine is yet to fully experience the stubborn nature of the global oil market. According to Gennady Ryabtsev, director of special projects at the scientific and technical center Psychea, the New Year and Christmas holidays (from December 20-22 to January 10-12), are the so-called "dead season" traditionally. In this period, wholesale fuel trade practically fades out, only to resume starting January 10. But during this period, the expert notes, oil has risen in price from $62 to $68 per barrel. Consequently, as early as next week, Ukrainian traders will start buying more expensive imported fuel, which, undoubtedly, will lead to a new round of price hikes at gas stations. "After the opening of wholesale trade, petroleum products on the border will rise in price by 7-8% ... As soon as new lots of this fuel are purchased, the prices at gas stations will grow by another UAH 1-1.2 per liter by the end of this month," Ryabtsev said. Let's note one more important news of the outgoing week. On Friday, members of the Supervisory Board of the state-owned energy holding Naftogaz of Ukraine, at their first meeting, elected UK’s Clare Spottiswoode head of their Supervisory Board. The new board is called upon to improve the quality of corporate governance of Ukraine’s largest state-owned company. It will form a strategy for the company reforming for the coming years. As Ukraine is getting out of the festivities mode, Ukraine faces, along with a wave of blizzards, many other important economic developments. On Tuesday, the Verkhovna Rada will start its plenary sessions, while the State Statistics Service will report on foreign trade data.